After a series of delays, as a legislature obviously embarrassed by its own actions dithered, the State House finally approved of the Senate’s override of the governor’s veto with a 71-42 vote, burdening the state with a massive income tax hike. It was a vote that saw ten of the state’s Republican contingent abandon Republican values and join the Democrats in approval. Thursday’s vote permanently increases the state’s personal income tax rate from 3.75 percent to 4.95 percent. It also raises the burden on businesses, raising the rate from 5.9 percent to seven. It all amounts to a 32 percent hike for the average Illinoisan and a $5 billion tax hike overall. The new tax hike is all the more galling because Illinois already has the highest property taxes in the nation, a fact that often forces retirees out of their homes to flee to other states. This is also a situation not lost on the state’s black American population, either. Illinois is witnessing a growing number of its African-American citizens moving out of the state, with Chicago and Cook County residents leaving at the fastest rate. On Thursday, Illinois Democratic House leader Michael Madigan only needed three Republicans to jump ship and vote his way, but not only did he get a whopping ten to do so, he also got five others who didn’t even bother to vote. An additional five joined him in the early rounds of deliberations, so Democrat Madigan knew he had the Republican votes going into the matter. 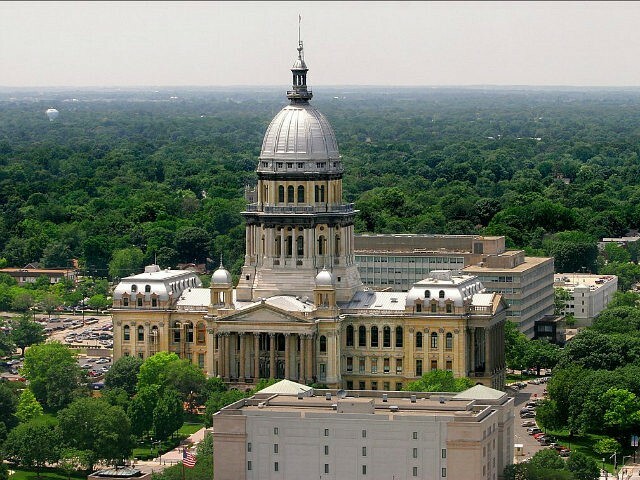 Thursday’s vote came after the House and the Senate passed the gigantic tax package this week only to have Illinois’ Republican Governor, Bruce Rauner, veto the bill. Despite the veto, on Wednesday the Senate voted to override the governor’s pen, sending the final vote back to the House. But all day Wednesday, Speaker Madigan could not get enough lawmakers together to make a quorum. The task of overriding the veto was put off until Thursday, but even then, the vote was temporarily halted when police put the capitol building into lockdown after discovering a mysterious white powder in the governor’s Capitol office. The shutdown only lasted a short time, and, in due course, the vote was back on. Finally, by early evening on Thursday, the deed was done, and the tax hike was approved. The state that is losing more citizens to out-migration than any other state, one with the lowest number of new jobs being created, and one losing business in droves just saddled its people with even higher taxes and with no budget reforms made and no cuts in spending implemented to boot. As June began, S&P and Moody’s both downgraded Illinois to near junk, the lowest ever for a U.S. State. Five more voted for the tax hike in the first go around as well. They include R. Pritchard (40th), John Cavaletto (107th), C.D. Davidsmeyer (100th), Charlie Meier (108th), and David Reis (109th).